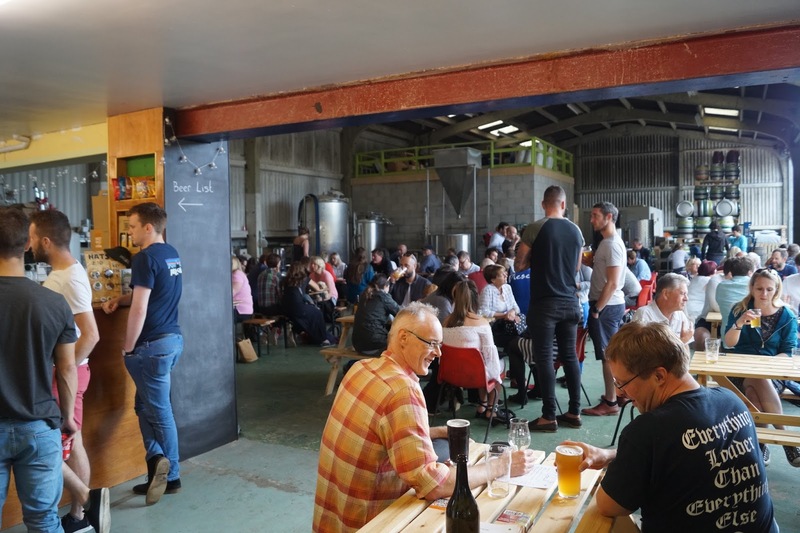 There is a growing trend of themed festivals popping up all over the country, with Hop City and Dark City hosted by Northern Monk (Leeds) celebrating hoppy and dark beers (respectively, obvs) and Sesh Fest at Magic Rock (Hudds). 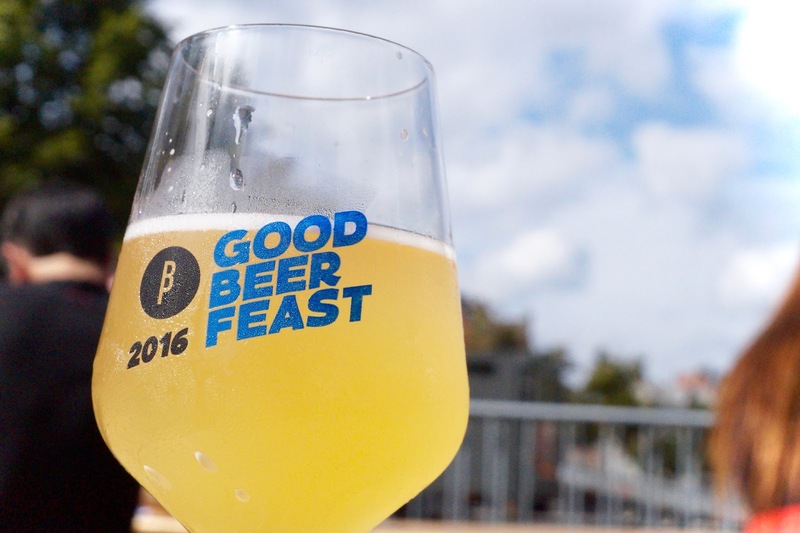 These festivals are a showcase of what the majority of modern beer drinkers like to hype over and while these are more obvious in terms of their appeal, more niche fests still run and function incredibly well albeit a little more under the radar. 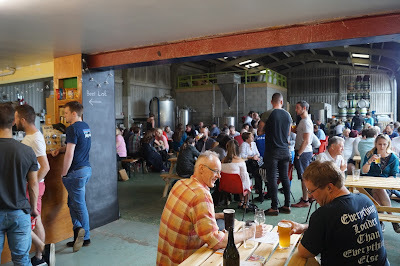 Like the one we help to organise through our day jobs, Funk Fest at Abbeydale Brewery (Sheffield) celebrating mixed fermentation, and the excellent Cask Fest at Affinity Brew Co (London) celebrating secondary fermented ales served without extraneous gas added. Then along come Torrside to showcase arguably the most controversial flavour in beer... Smoke. You have probably been living under a rock if you don't already know that we are BIG TORRSIDE FANS. Having loved them from their humble beginnings (a little more on how we got to know them here) to having the opportunity to brew with them earlier this year, they are a fantastic bunch who make a complete roster of outstanding beers. As we see it, their success has largely come from two ends of the beer world - well hopped light pale ales, that pack flavour and have great condition on a bar. And on the other end of the beer spectrum is what really sets them apart as one our favourite breweries and a cut above many other smaller breweries - the "Monsters". These big parti-gyled* beers pack the kind of welly that you wouldn't expect a brewery of Torrside's size to churn out other than for the occasional anniversary beer, but with a total of 37 listed on Untappd, they aren't mucking around. Torrside's propensity for smoke and ability in using smoked malts in their beers is absolutely second to none in England at the moment, using beechwood, oak smoke and peated malts, they push all aspects of what smoke can do. Beechwood smoke being generally synonymous with the Rauchbier of Bamberg, featuring a sweet smooth smoke that works incredibly well with toasted malts. Oak smoking, which is traditionally used to dry wheat (rather than barley) showcases loads of vanilins, and is less subtle. Then peat, which the household consensus is our favorite wood for smoked liquids, but not quite so for food**. We were honoured enough to make our very own peaty Monster earlier this year, Power Stance, a parti-gyled peated ginger barley wine coming in at 12.5%, a surprisingly subtle balance of fresh, aromatic spice and sweet, almost saltiness, all dug from the earth. Anyway. 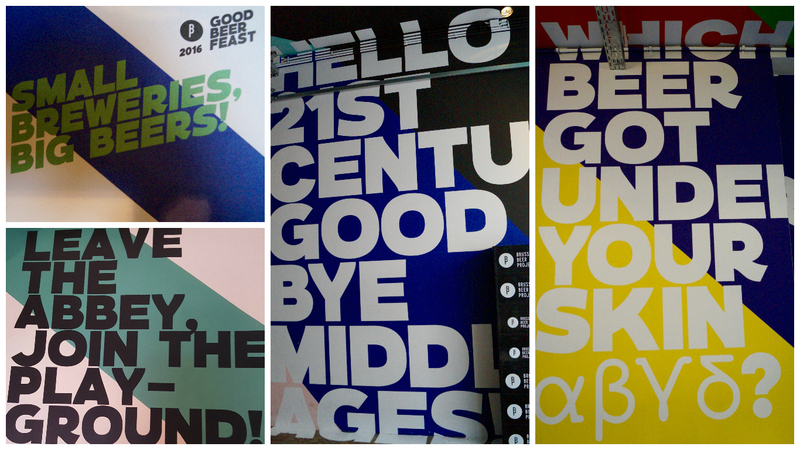 Onto the festival! The grey November day came, as did a pair of trains that journeyed us safely to our destination of New Mills (New Town rather than our usual Central***), and the unit that Torrside share with a private Marina, it's basically Monte Carlo for central Derbyshire. In the brewery we found a huuuuge selection of beers all featuring one or more of the aforementioned smokes, plus a sea of friendly faces. Smoke might be a divisive flavour in beer but it sure brought all of us together. 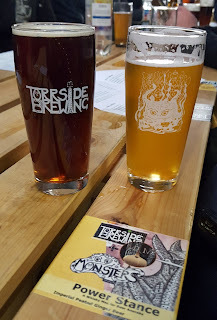 We opened with two Torrside beers - Hopfenrauch (Jim), a well balanced smoked bitter with a hop zest cutting through, and Sto Lat (Laura) a Grodziskie - a Polish style of light low ABV lager, featuring oak smoke that adds a layer of complexity to this eminently sessionable beer. These first beers, along with our seconds, were included in the entrance price, as was the glass to take away. The £12 even stretched to a portion of Pie***.14, with additional food (including smoked ham and a wide variety of smoked cheeses including a blue version which Laura hasn't stopped thinking about since) all being reasonably priced. Overall the festival certainly more than covered our expectation of what our ticket price offered. We even got a little goodie bag to take home, the My Little Pony chocolate coins were excellent Train Strike Return Journey sustenance. Amongst the guest beers on offer were featured Ashover (another local favourite of ours), De Molen and Kees, but as soon as Jim saw the beer list a couple of weeks before, there were two at the top of his hit list from Yeastie Boys and Schlenkerla which feature as regularly in his drinking habits as possible but never before on draught. Rex Attitude and Helles couldn't be any further from each other, one 100% peated malt, the other no smoked malt whatsover (but made in a sufficiently smoky atmosphere to still impart oodles of flavour). We've said in the past that Rex Attitude is one of the most deliciously obnoxious beers we've had, tasting like lightly hopped Laphroaig wash wrapped up in a TCP shot, it's everything that isn't subtle, like drinking a Viking burial. Bury Jim in Rex. Schlenkerla Helles by contrast is made of 100% unsmoked pilsner malt, but with a soft vanilla cigar sweetness, that comes from the lingering smoked malt. If like Schlenkerla you make a lot of rauch it seems you only make rauch... it clings to the mill, the auger, the mashtun and beyond. From this we obviously moved on to drink some Monsters. One of our number came across with half a pint of cask and a glint in their eye, clutching a dark brown, bordering on black cask beer. With a pale krausen and a warming waft of smoke the Rauchwine became introduced to our table far too soon (or not soon enough?! ), the rest of us sat in envy after a nose and a wet and the next drinks were decided instantly. We think we've found our cask beer of the year a couple of months early. The Dogs of War series were also tasting absolutely incredible and of course we had to sample our Power Stance collab, which was delicious if we do say so ourselves. 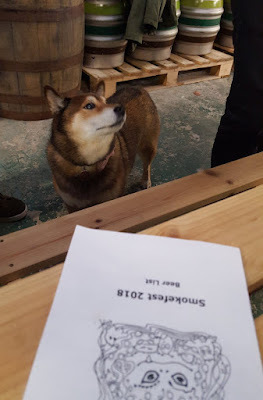 Sat in the centre of the brewery surrounded by good friends, with a phenomenal beer range, some delicious food to accompany, relaxed and surrounded by dogs, this was really what festivals should be about. Smokefest had all of this in absolute spades and we left feeling all warm and fuzzy and not just because of all the imperial strength smoked beers we'd consumed. We definitely hope that Smokefest will become an annual fixture, but in the meantime the pub beckons... tis the season, an all that. ***.14 Rauchwine and steak flavour! (It's a Pi joke). Since its opening two years ago, Torrside Brewing have produced some of the best beers from a new brewery we've ever had. 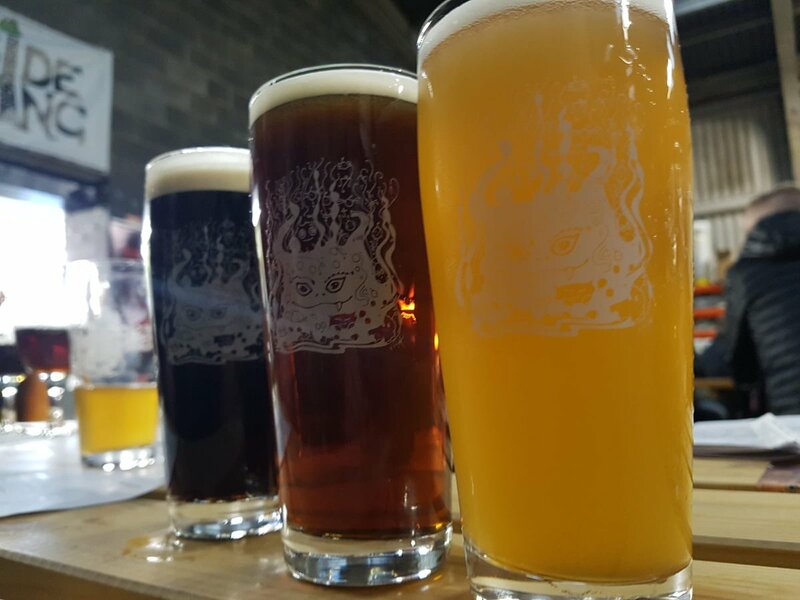 Operating in a unit by a private marina in New Mills, they brew an excellent mix of cask, keg and bottle, nailing classic best bitters and pale ales alongside a dizzying array of high ABV small batch brews - the Monsters series. We first met the team - Peter, Nick and Chris - at a homebrew competition that Jim was asked to judge at Brewdog Manchester, about two and half years ago during his time working at Blue Monkey. The competition was entered by numerous brewers who have since gained a foothold in the industry. Amongst over 100 entries of astonishingly high quality, all three now-Torrside brewers won an award. Whilst producing excellent homebrew in itself doesn't necessarily mean you can run a brewery, it does imply you know what you are doing... and it seems that once these three teamed up and pooled their skills and experience, there was no stopping them (not to mention that they're all some of the loveliest people you'll ever meet in the beer world). Anyway, onto the brewery. We first visited almost exactly two years ago - the tanks were in place, and the first beer was days away from being brewed. The unit seemed cavernous at the time but they've had no problem creating a welcoming space, with plenty of seating surrounding the brewplant and an inviting bar area. We launched into a sunny afternoon's drinking with Route 366 - a 4% Columbus, Cascade and Ekuanot hopped pale, which instantly flung itself into contender for cask beer of the year. Reminiscent of what makes the ever popular Sonoma by Track Brewery (their brewer Matt being yet another success story of Brewdog Manchester's homebrew competition - Jim still has dreams about that brett stout!) so special. Pale in colour with a gentle malt sweetness, tempered by soft bitterness and ending with a tangerine-grapefruit character from the Ekuanot hops that absolutely dances on the tongue. Stunning, crisp, and delightfully sessionable. The Yellow Peak pale, 4.2%, was similarly quaffable with the combination of Amarillo, Summit and Mosaic providing a fresh and zesty character with a delicate herbal backbone. At the other end of the spectrum were two collaboration beers with Elusive Brewing. 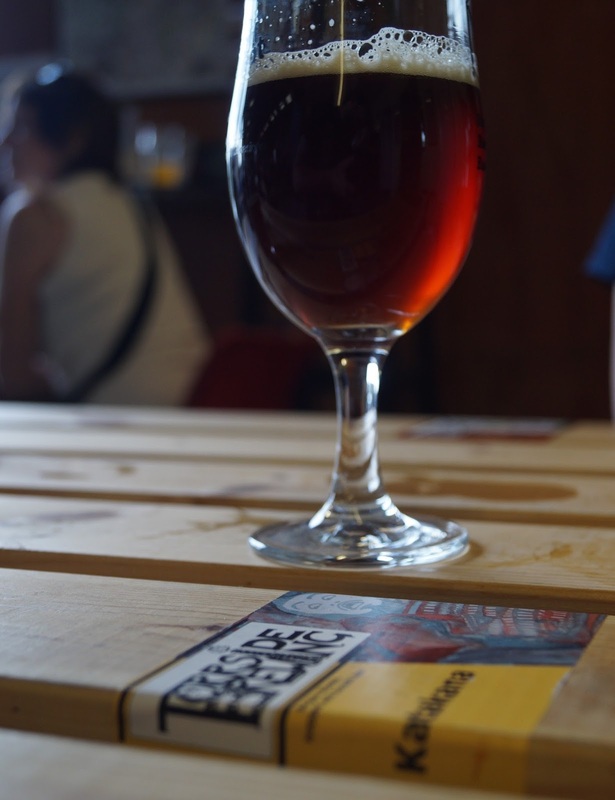 The first, Creature of Havoc, is a 4.6% cherrywood smoked red, fermented at Elusive. The second forms part of the Monsters series - Coalition of Chaos, weighing in at 9% and taken from the first runnings of the bigger batch brew. Strangely, the stronger beast was the more drinkable of the two (although both were delicious), with a rich malt backbone easily carrying the smokiness of the brew. We ended the afternoon on a peat smoked barley wine, Hopscotch, which we quaffed on whilst the frankly adorable Kami (Chris's Shiba Inu, and undisputed queen of the brewery) had a little sit on our feet and gazed wistfully upon our bowls of chilli. Currently the brewery mainly operates at weekends, as the chaps still all have full time jobs not related to brewing. However, the guys make this work to their advantage - this shows through in the beer selection, which oozes a total attitude of care and consideration, and a massive emphasis on quality of flavour. Each and every beer is so carefully thought through, and it's clear that the team really want to create something stunning and aren't willing to compromise by making average brews. 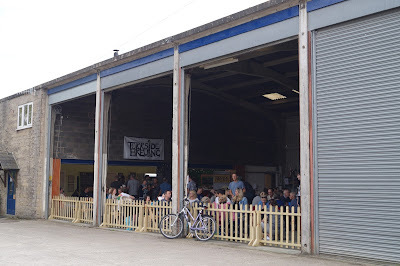 What Torrside have created in New Mills with their brewery open days is a space which is open, inclusive and welcoming to everyone. The brewery was full all afternoon, with the crowd formed of walkers off the hills, families including children, beer industry folk, dog owners, and men and women clearly ready to hop on the train for a night out in Manchester. It reminded us of our time last year in Colorado, where there was no culture of stereotyping the beer drinker and where an industrial warehouse becomes a vibrant atmosphere. In case it isn't clear from the above, we had an EXCELLENT afternoon. Congratulations Torrside on your first two years of brewing, and here's to many, many more. On the first anniversary of Brussels Beer Project's inaugural brew and the launch of their first Barrel Aged release, we stepped inside what appeared to be an unassuming shop front, to find a highly polished ultra modern brew kit hidden behind a small, modern bar. The first thing to hit us was the enticing smell of pumpkin and mashing malt. Today's brew, a beer to be released for Halloween, comes in as the 29th different beer recipe since the brewery found its home in Dansaert 188, Brussels. We arrived pre 11am and quickly found a beer to sip on appropriately named Morning Sunshine (a raspberry and multicereal beer, with a delicious bitter-sweet balance at 5.7%). In the open plan area beside the brew kit, we caught our first glimpse of the beer of the moment, Maoris Tears, a rose wine barrel aged Wakatu hopped saison. With only 800 bottles available, plus a couple of kegs for the bar, we snapped some up to bring home and of course had to try one there and then. The beer prickled with a resinous oak and freshness of limes, dry crispness from the yeast with light phenols joining later on, before being taken over with a robust rose wine character at the end. Unusual, inventive and downright delicious - words which we came to find defined not just this beer, but the whole ethos of the brewery itself. Antoine, one of the brewers at BBP, started our brief tour at the goods entrance and malt store, past the mill and a few stacks of wine barrels imbuing their flavour to beer, onto the brew kit and small bottling line. It's clear that being the newest brewery to open in Brussels centre came with considerable space limitations, although these appeared to have quite adequately been overcome - for example, the roof height is low, so fermenters are specially designed to be short and stock of bottles and kegs is all kept off site. The brew kit itself is high-tech with a semi-automated mashing process and a super shiny whirlpool. The brewers are quick to point out that the use of technology, for them, does not detract from their influence on the beer production itself - their focus is on careful recipe development, experimentation and expression of personality. Finally, we moved into the bar, where you sit on repurposed malt sacks next to another, larger, stack of oak barrels behind a glass shutter door. There is something of a cyclical feeling about sitting on the bag that contained the raw ingredients for the drink in front of you, as well the ageing beer to your side. Past Beer, Present Beer, Future Beer. 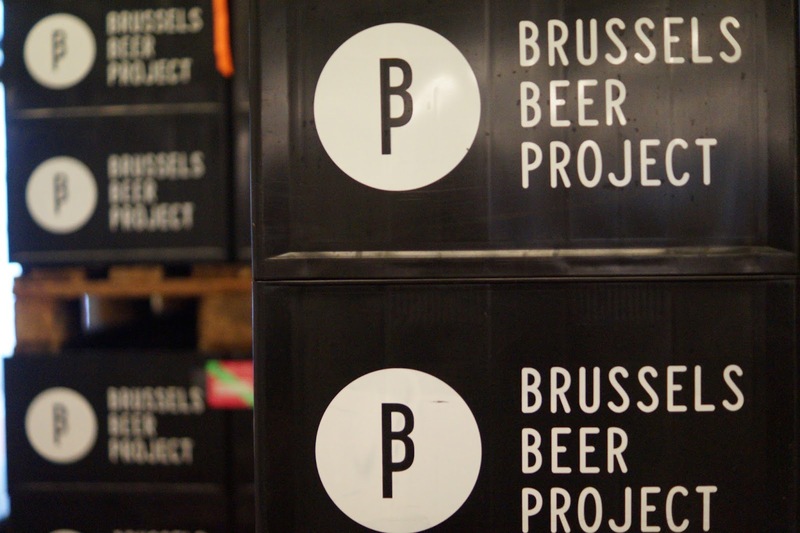 BBP was brought to life utilising a crowd funding model, allowing locals amongst others to support a modern Belgian brewery wading against the traditional Trappist tide. When the brewery first began, initially as a cuckoo brewery, the first core beer was voted on by those supporting the project. A series of experimental beers were produced and put to the public test - Alpha, Beta, Gamma and Delta (a coriander and range pale, a paradise seed and juniper saison, cardamom and candy sugar pale and a Belgian IPA respectively) until a victor was left standing. And the Delta IPA, as it is called now, was one of our favourite beers during our trip - a fruity, fragrant IPA with a decent bitterness that cuts through a residual sweetness from malt sugars left behind by the yeast, hopped with Citra and German aroma hop Smaragd (also known as Emerald) - the combination gives the final beer a modern flavour profile that until recently was practically unheard of in Belgian beer. We had a superb afternoon supping in the sunshine - highlights being Hof Ten Dormaal's Sloe Sour which was amazingly refreshing and aromatic, putting a modern twist on the lambic style, and La Pirata's Black Block imperial stout - just an absolutely sumptuous treat. 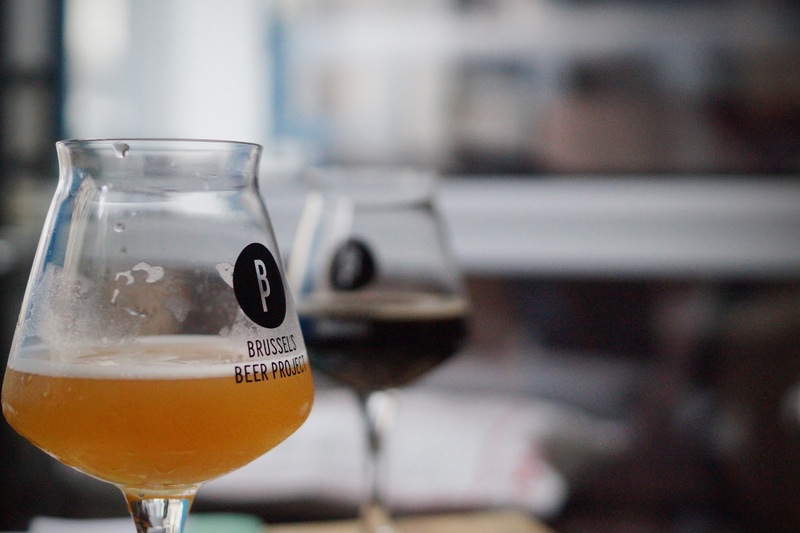 Overall, it was clear that this one day festival held at the same time as the huge Belgian Beer Weekend was a real statement of intent to provide an alternative to the traditional. And looking round the sea of sunblushed faces of the brewers and drinkers (often one and the same) is hope for the city and country as a whole that the beer scene can continue to expand and develop alongside countries such as America and the UK, as well as retain the long-established and much cherished customs that Belgian beer is so renowned for. Neither of us have ever been keen cyclists, but after two trips to New Belgium during our time in Fort Collins we might just be tempted to dust off and re-oil our bikes (currently decaying in the cellar). On our first trip to the brewery we met with Spokes Model and long serving employee Bryan Simpson in the tap room over a generous pour of their flagship amber ale Fat Tire (5.2%) and he ran us through some of the history of Fort Collins' biggest craft brewery. Established in 1991 after a cycling trip to (Old) Belgium frequenting many of the beer bars and Brasseries the country has to offer, husband and wife team Jeff Lebesch and Kim Jordan aimed to emulate some the beers on their garage brew kit. And so New Belgium was born. As we travelled through the state of the art facility, one of the largest craft breweries in America, we were struck by the sensitivity for tradition in the brewery as well as the want to push forward and produce modern American beer, all against an ideology of environmental care and sustainability. From the original brew kit from humble home brew origins, to the highly polished stainless steel four vessel brew system with steam recollection, to the traditional oak vats used to produce their sour beer next door, to the ultra-modern lab with stir-plates and Erlenmeyer flasks of beer samples. This approach of modern brewing technology coupled with traditional European techniques allows New Belgium to produce one of the biggest ranges of quality beers of any brewery we've been to. As the tour continued we headed into the foudre forest, an absolutely beautiful room with more than 64 10,000l repurposed wine vats used in the making of slow sour beer, intermingled with a selection of whisky casks from Denver distillery Leopold Brothers, and a climbing wall. All the foudres are filled with one of two different base beers lovingly named Oscar and Felix, the first a black lager and the other being a golden ale. 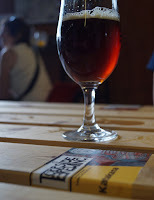 As we stood chatting surrounded by wood we were offered a glass of La Folie (GABF 2001 Gold Medal), an utterly delectable Flanders Red style sour beer with a blend that has been acidifying for anywhere between one year to as much as three. The tartness is reminiscent of apples and peaches, with a light yet lingering oaken texture toward the end. One of the best beers we've ever drunk, and in the most perfect of settings to try it... the heady aroma of the room is the sort you can conjure up just from thinking about it. The final section of our tour through what is affectionately referred to as the Thunderdome - a frankly enormous bottling line and relatively smaller canning line which took in all around 4 minutes to stroll across. The continuous rattling of glass and clunk of machines highlights the scale of New Belgium's output (as if 64 oak vats of beer weren't enough to do that), capable of 700 bottles a minute with only a hand-full of people operating it. Slick. We finished up in back in the tap room with a glass of La Terroir, created with the aforementioned Felix as the base then dry hopped to add a layer of complexity, that buoys all the other layers of sour freshness. Another contender for lifetime favourite beer for us both, and impossible to pick which we loved more between La Terroir and La Folie. We brought a bottle of each home just to re-test this theory but still just concluded that both were astounding. Us with Bryan and Chris from the New Belgium team! We spent a good couple more hours in the taproom, working our way through the New Belgium core range along with specials including their collaboration with Ben & Jerry's - a 6.3% salted caramel brownie brown ale which was SO up Laura's street (and she got to to try the ice cream the following day too). We massively enjoyed chatting to all of the staff we met, every single one of whom was bursting with enthusiasm for the company they all feel truly a part of (which indeed they are, the company being 100% employee owned). Bryan also told us a story of how Neil Fallon from one of our favourite bands, Clutch, had a go on Bryan's guitar while the band were involved in creating a collaboration beer. Bryan might just be the coolest man we've ever met. We had such a brilliant day that for Laura's birthday we decided to return, where we joined on the general tour. This followed the same format as the first but was slightly less in-depth but still relaxed and informative. This one included a go on the brewery's helter skelter! There have recently been a number of rumours regarding the future of New Belgium and the likelihood of it being bought out. We asked Bryan on our first trip who vehemently denied that this was a possibility. Our tour guide on the second visit was a little more vague, which could suggest that it has been mentioned throughout the company but is still by no means a certain. But as the brewery is an employee owned company, it would be hoped that their votes and opinions would be taken into consideration before making a decision with potentially a huge impact on their future. With a second site in Asheville, North Carolina, having opened earlier this month, it will surely be the case that New Belgium's reputation as a progressive and far-reaching brewery can only increase. Although the brewery prioritises the American market and hopes to sell in every state as a priority over growing export, we are hopeful that before too long we will start to see their beer on our shores! We have just spent a week in one of the great brewing capitals of the US. Fort Collins, in the north of Colorado, is a true beer destination, with an ever increasing number of craft and micro breweries and a population which is truly passionate about their beer. 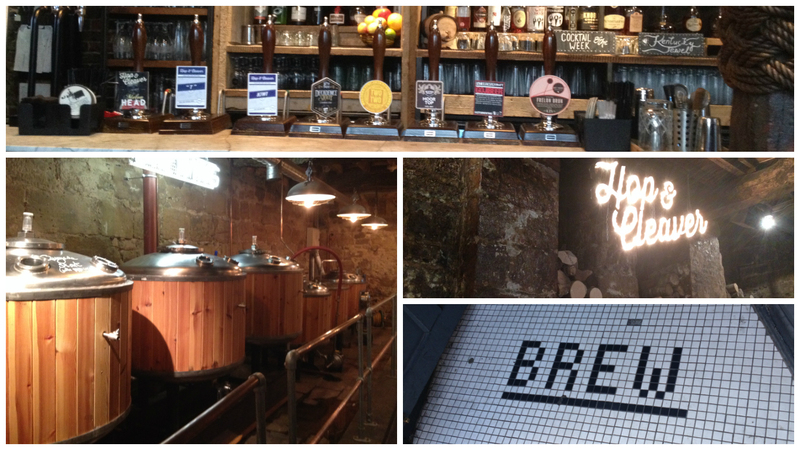 Many of the breweries are brewpubs, with welcoming tap rooms to serve their range of beers. Having visited eight breweries and a multitude of bars around the city and beyond during our time in FoCo, we found the perfect environment to embrace everything great about the American craft beer scene. The Tap n Handle... this became one of our regular haunts! 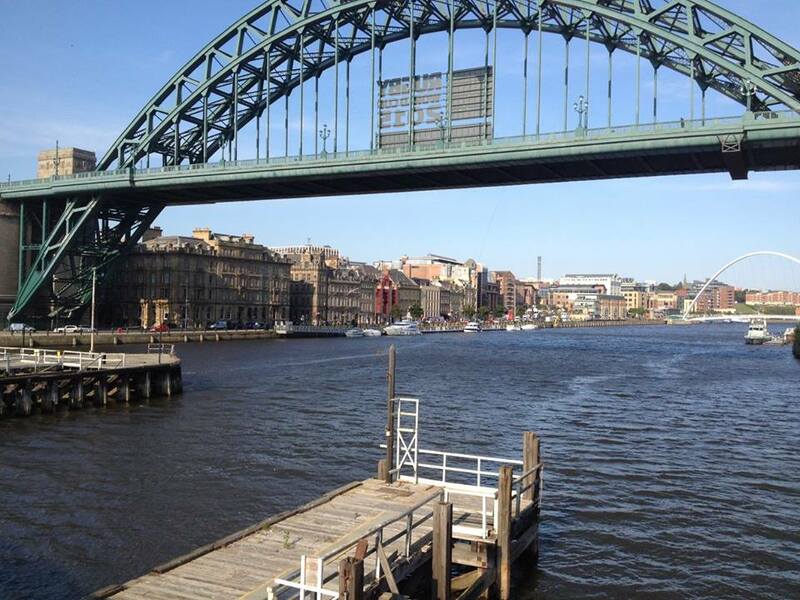 Earlier this autumn, we embarked on an 800-mile round trip of the north. First stop on this little tour was Newcastle - a city we've only visited once before about three years ago, with the sole purpose of going to a gig, so we'd not had the chance the check out the beer scene. 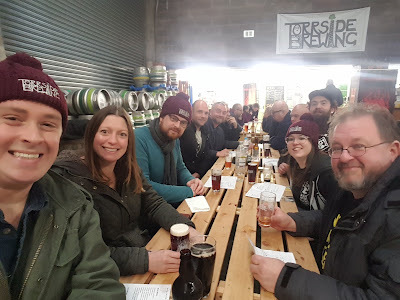 With some exciting new breweries popping up around there (we're talking about you, Northern Alchemy), and having heard very good things about their craft beer pubs, we thought it would be a worthy destination for the first night of our beery holiday. Correct we were to think so. 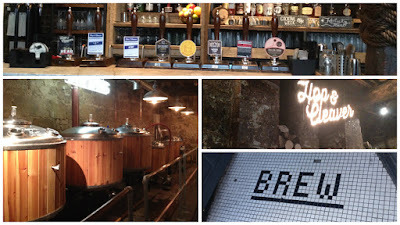 Despite wandering into Newcastle city centre from Gateshead with no idea where we were really going, we managed to stumble straight into the Hop & Cleaver. From outside, it looked a little bit like a fairly standard BBQ joint, but a promising door step lured us in and it was instantly obvious that despite making a big thing about doing top notch smoked food (and rightfully so, more on that in a moment), they make an even bigger thing about their beer. A very friendly barman directed us through the many rooms of the cavernous building to have a look at their on-site brewery - small, but perfectly maintained. We opted for a couple of their brews - the Kiwi pale ale, and the Melon Head. The Kiwi pale ale was nice, if a little forgettable, but the Melon Head was outstanding - vibrant melon flavour coupled with a well-rounded hop character: a really unusual, imaginative brew. Despite being very tempted by the Hop & Cleaver menu, rather than a full meal, we decided to have snacks and starters in each place we visited to make the most of our trip. We eventually plumped for the rib tips, which were the perfect combination of spicy and smoky. They came smothered in homemade BBQ sauce, and more sauces were available on the table too to suit a range of tastes. This was just one example of the attention to detail which was apparent in every single aspect of the way the Hop & Cleaver operates - even down to the door handles made from knife sharpening steels. Well themed yet understated, this would definitely be somewhere we'd regularly frequent if we were more local. We washed our rib tips down with the always excellent Beavertown Gamma Ray before moving on. We headed just a short distance round the corner to the Bridge Tavern - another brewpub - on the recommendation of not only our Hartlepool-hailing brewer pal and colleague Dave but also the Hop & Cleaver staff (always nice to see local businesses supporting each other in this way). Both of the beers we chose first were ace. Jim went for Wylam Jakehead IPA, which had a massive body at 6.3% and felt almost like a barley wine. Laura chose Mango and Passionfruit Pale, a collaboration from Squawk and Track breweries, which was outrageously fruity and definitely did what it said on the tin! Beer snacks this time were a slightly odd combination of pickled eggs and oysters - Laura's first taste of both! The oysters were battered in the house TavernAle beer and served in their shell, which had been filled with a sharp and creamy tartare sauce. They were awesome. To finish, we picked a beast of a brew - Five Times Madder Tom, a collaboration between Moor, Arbor, Harbour, Beavertown and Hanging Bat - busy brewday that must have been! An 8% DIPA, this was chock full of lovely malty and resinous notes. Really complex with a pleasantly dry finish. Top marks! 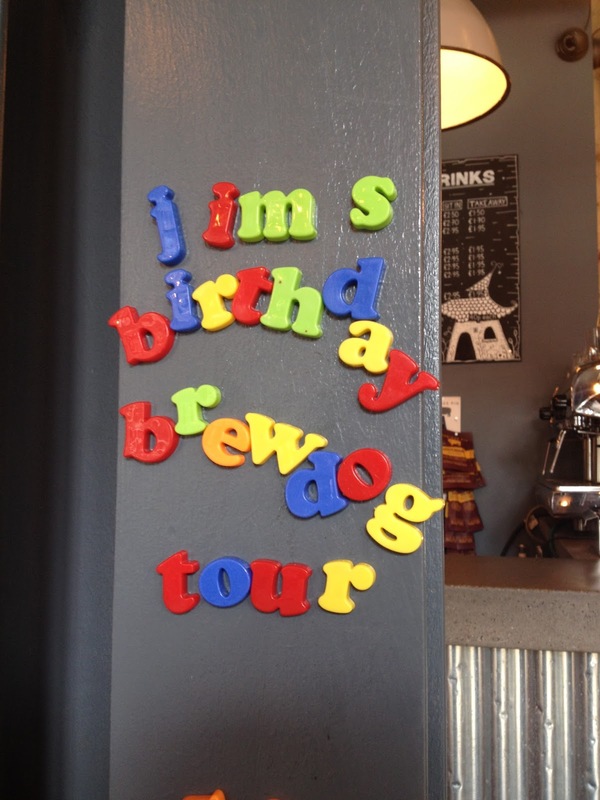 We love a bit of a roadtrip every now and again, and having been kindly invited up to the Brewdog brewery by malt master Angelos (who we first met at this excellent homebrew competition), Jim decided that a 400 mile journey up to Ellon would be a great way to spend his birthday. and frankly the only way to travel to a craft beer Mecca would be to make the quasi-religious Hajj via the various Brewdog bars on the pilgrimage. 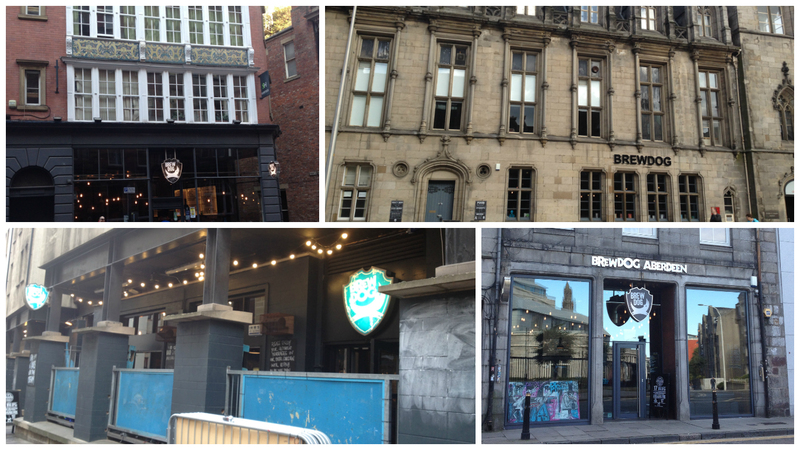 Seeing as it's rather a long way from Sheffield, we made a proper long weekend of it, calling at as many Brewdog bars as we could on the way, just to stick with a bit of a theme! Obviously we also found many more fantastic places on our travels... look out for another post in the near future for these. 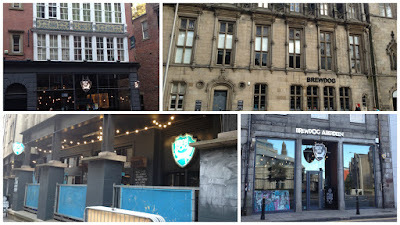 Our plan was to begin on home soil in Brewdog Sheffield, before heading up to Newcastle and then on to Edinburgh, with an overnight stay in each city, then on to Aberdeen and finally the Big Dog - the brewery itself in Ellon. The bars all follow a similar mould... always slightly industrial, with booths, matte black paint and walls clad in what can surely only be made from a sports hall floor. With slightly different offerings from Stone, Mikkeller and Boon or Weihenstephan on the guest lines and at least eight of the host beers on the other taps, there is always a beer for everyone. Whilst the beer list and venues are similar, it's the staff that set each apart and give the bars a distinctive character. Every single person we spoke to behind the bar was helpful, knowledgeable and enthusiastic, and polite enough to seem interested in our slightly odd quest! En route to Aberdeen, we decided to add in a somewhat impromptu trip to Dundee, where the Royal Exchange building plays host to the ornate bar. Due to it being only part way through our drive, as we sat twiddling our thumbs for the lunchtime opening we drew straws for the designated driver. As the bar opened, Laura opted for a Fritz-Limo apple juice. Jim clutching the figurative long straw more than made up for this, indulging in the 8% Molotov Lite from Evil Twin. For the birthday boy, this was the perfect opener to the proceedings, light, floral and a nice accompaniment to the beef and Five AM Saint pie. Moving on to Stone - Points Unknown, another ludicrously strong pre-afternoon beer in the form of a Belgian style tripel at 9.5%, which has been barrel aged in wine and tequila before being blended with a delightfully fresh West Coast DIPA, to form an awesomely rounded, hoppy, slightly tart, massively boozy and all round stunning drink. 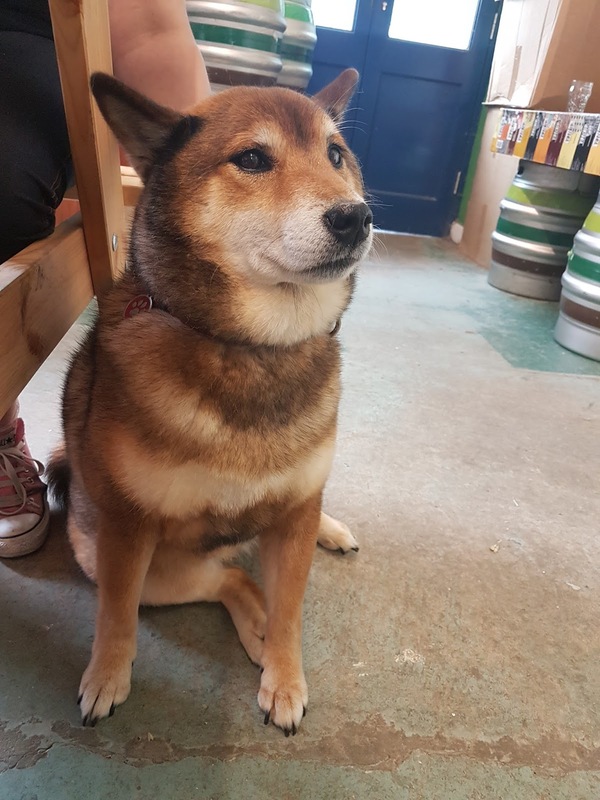 By Monday it's definitely fair to say we were adequately warmed up to complete our pilgrimage to the brewery itself, along with the Dogtap there. Based in Ellon, a half hour bus journey north of Aberdeen, it is absolutely ENORMOUS and still clearly in the process of rapid growth. Upon arriving at the brewery, we were greeted by Angelos who was to be our guide and beer guru for the afternoon. The bar attached to the brewery follows the same pattern as the rest, except with the reflective majesty of the pilot kit at one end. As we moved to through to the large building behind the bar, wandering through a maze of impossibly shiny stainless steel, we began to see the scale of what the Brewdog machine has become, with three massive fermenting vessels in the centre of the building and a £3million bottling plant taking up around half of the space of the main warehouse. 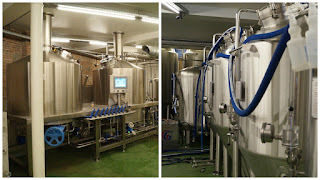 We were firstly shown the four main brewing vessels (mashtun, lautertun, kettle and whirlpool) - a setup that allows 4 different beers to be on the go simultaneously and up to 10 brews a day to be produced. Our tour continued along to conditioning tanks and the dry hopping stage of the process, where we were lucky enough to have a taste of the super chilled and ridiculously fresh beers. The highlights were the legendary Punk IPA, with an outrageously juicy hop character, and Tokyo - at around 17% and -1 degrees, it was practically a syrup, fruity, sticky and downright delicious. Black Eyed King, which becomes the base of the "Dog" series of beers, was also phenomenal. Many of the fermenting vessels are situated outside the brewery building itself... with 15 that can contain 800 hectolitres, it's not hard to imagine why. The sheer scale of absolutely everything just blew us away... despite being familiar with many a brewery, we'd truly never seen anything like it. Again, the enthusiasm of those working there was obvious, and the whole building felt a bit like a beehive, everyone working busily as a team and the air filled with an electric innovation. With their recent milestone of £10million through crowd funding, we will no doubt see many more exciting things coming from this remote corner of Scotland. After a pit stop in the tap room - a Five AM Saint for Jim, and a stunning sour cherry pilot brew for Laura, it was time to get the bus back to Aberdeen and grab a good night's kip ready for the 7 hour drive home the following day. Totally worth it. Buxton Brewery's 100th brew since moving to their current brew kit is Battle Horse: a bold Double Black IPA bottled at 10.5%. First things first, it looks ace - Buxton's branding is contemporary, clean and eye-catching, and the beer itself is a pure, deep black. The nose sings of pine and oak, almost as if aged, but at the same time it is vibrant and fresh with oodles of dark berries. The malt bill, containing prominent roasted malts, is bold and chocolatey, bringing a dry roasted coffee body. With tropical passion fruit lying in wait underneath all that richness, despite the high ABV it is beautifully soft and deceptively easy to drink. This shows how the imperial-style malty notes in the beer are balanced by the more classical IPA characteristics: the variety of hops in the brew give a great oiliness and body whilst also providing a very fresh, almost floral character throughout the drink. So complex, but it all comes together with absolute panache and completely fills the head with chewy, extravagant goodness. This landmark brew from this wonderful Derbyshire brewery is truly something to behold - I highly recommend keeping an eye out for it. Just outside the lovely Derbyshire village of Bakewell, hidden in a small industrial estate lying behind a timber mill, is the forward thinking and ever-growing 'craft' brewery Thornbridge. Since humble beginnings ten years ago, the brewery has become continually more prolific and their reputation for great quality beers has spread worldwide. We're pretty spoiled by living in Sheffield, in that no matter which part of town you're in you can almost always find a Thornbridge beer. Their range of pubs really does have something for everyone - summed up nicely by twobeergeeks - and their brews are consistently top notch. Despite the brewery being a mere 15 miles from our doorstep, we'd never been to have a look around, so decided to put this to rights and headed off on a Wednesday afternoon. First impressions... Huge. Slick. Contemporary. We were taken aback a little at just how much of an industrial operation this is, having only been to classic, traditional breweries before. We were greeted by our tour guide and technical whizz Richard and half a pint of Bohemia (4.8%), a refreshing dry-hopped Czech style pilsner. After a quick Thornbridge history lesson, and a freshly bottled Kipling (where the newness of the beer allowed the Nelson Sauvin hops to shine to their full potential) it was on to the tour, now sporting some rather fetching hi-viz vests. The continuing transformation of the brewery due to the demand that outstrips their current production means that the brewery building itself is almost overflowing with gleaming steel. We began in the malt room toward the back of the building, where some of the speciality malts are stored (the majority of their most commonly used Maris Otter malt is now stored in silos due to the sheer volume required). The malt room smelt delicious, but we were all ready to head up to have a closer look at the super shiny brewing equipment itself. Heavyweight dark ale Bracia was being brewed as we were shown round, a little unusually as this is one of the brews that until recently has only been produced at the Thornbridge Hall site. After a little peep in the hopback we were shown into arguably the heart of the brewery - the control room! Every process is overseen by computer controls, ensuring consistency. There's also a lab which is full of high-tech gadgetry and enables a tight watch to be kept on quality control. The air was literally buzzing and we felt a bit like we'd fallen into Willy Wonka's factory. We followed the brewing process through, wandering by the 18 100hl fermenters and conditioners to the bottling line. More technological wizardry here too, with a centrifuge to clarify the beer and a nifty bottling machine. Finally, we headed back outside and into a separate warehouse - the Ageing Room. Floor to ceiling barrels contained an array of exciting projects, some to be revealed during their tenth anniversary year throughout 2015. Thirsty work, this tour lark. Back in the shop we polished off some of the delicious Cocoa Wonderland, a 6.8% chocolate porter made in collaboration with the fantastic Sheffield chocolate shop of the same name. It's rich, full-flavoured, and delivers just the right amount of cocoa naughtiness - a deserving winner of last year's Steel City Beer Festival. We left with arms full of the hotly-anticipated Jaipur X, firmly believing the Thornbridge motto - Innovation, Passion, Knowledge. It's clear that despite their growing stature, this is a brewery which is still prepared to take risks, implement new ideas, and bloody enjoy what they produce.